Cats vs. Dogs: Let’s Make Things “Write”! 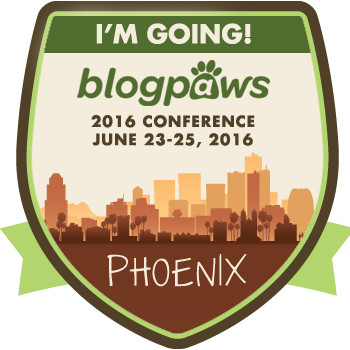 So excited to be part of the Speaker Agenda at the Eighth Annual BlogPaws Conference! Barking News: Looking forward my participation in a Publishing-industry Speaker’s Panel with the Cat Writers Association of America and during a session with the BlogPaws folks this weekend! Temperatures are soaring, but we’ll be inside exploring…during so many fabulous sessions surrounded by some lovely pets! Check out my recent contribution to Ruff Drafts https://dogwriters.org/wp-content/uploads/2015/04/2016springsummer_members.pdf– page 11 , the official newsletter of the DWAA where I discuss my work with Laura Pople of Seer Farms. If you are part of the Yahoo on-line reading group DogRead, please join me as I discuss Dog’s Best Friend: Will Judy, Founder of National Dog Week and Dog World Publisher. I am their featured author through June 30th! We are having a very nostalgic look back in time via our love affair (and Will Judy’s) with man’s best friend. And…Look for updates on the launch of my new kid’s Picture Book, Teddy Two-Tone and the Seven Days of Dog Week written for the youngest of eyes. I may have lots of questions when I attend a session presented by Mark Coker, founder of Smashwords, at BlogPaws. Happy summer! As I excitedly prepare to attend the 8th BlogPaws/CWA Conference in Phoenix later this month, it is not lost on me that although I have been writing and blogging about canines for several years now, in Phoenix, I will be part of a publishing-industry speaking panel organized by the Cat Writers Association of America. Preparing for this event has made me nostalgic. Yes, I love dogs, but the truth is, more cats have blessed my life than dogs, and as I’ve discussed in past posts, I grew up in a menagerie masquerading as a house of humans. My very first pet (although I barely recall) was a grey tiger striped kitten named mittens (I presume she had white paws). My only real memory of her was the day she jumped on our huge Christmas tree, toppling it full force onto our living room floor. The memories stop there. Two bunnies followed – and I proceeded to let them out of their hutches early each morning only to have them return to their homes each evening (Don’t judge, I was 7 and it was the mid-1960s). I also recall daily kick ball games that took place on our dead end street. One late afternoon, a mysterious car stopped and deposited a large duffle bag on to the curb. In those pre-terrorist days not filled with warnings of “see something, say something” we had no fear. We raced to the moving bag and unzipped it, “unleashing” a parent’s worst nightmare; contained in that writhing bag were five gorgeous kittens suitable for Hallmark greeting card images. We convinced our parents to let us foster them, (they were so adorable we had no trouble placing them). Gypsy, a black and white cat stayed with us and being an unaltered female, we faced the inevitable (don’t judge – it was the late-1960s). A year later, on the Fourth of July, my father was drawn to our garage by a strange wailing. Inside an open drawer that contained a folded American flag, rested one perfectly formed tri-color newborn kitten (red, white and black). My brother named him Jefferson. Much later, my brother Matt (RIP) answered (in a pre-Craig’s List world) a free-to-good-home ad for a kitten. I’ll never forget coming home from college for a holiday visit in 1977, expecting to meet a tiny ball of fur only to meet Morrison (named after Jim Morrison) a cat much older than I had expected. My brother, upon meeting this charming young cat, couldn’t help but bring him home. Morrie lived life as an indoor outdoor cat (Don’t judge, it was the late 70s) and yes, he was neutered. He was one of the best family pets we’ve ever had. Next came a little tortoise-shell cat that Matt brought home from a construction site. We named her Pita (short for pain in the you-know-what). Pita was a clingy sweet heart with a good disposition. Just a few years ago, after a very long life of over 21 years, she said good bye and went off to die in peace at a time of her own choosing. So much has changed in the world, I recall a time when carefree kids ran about in the outdoor world, accompanied by their pets. Kids and pets need that, and so do we. So, on days when you are feeling frazzled by tweeting, pinning, instagramming, blogging and snap-chatting about your own pets and those of others, remember to unplug and take a break and enjoy this beautiful season. Be it fur, hair, fins, hooves, or scales, we engage our hearts when we share our tales…It doesn’t matter our topic, good writing will engage almost anyone and you can even educate others in the process. What a terrific opportunity it is when we get to sit and chat with fellow authors and bloggers. It doesn’t happen often enough. If you are attending the CWA/Blog Paws Conference – please join me for my sessions: Friday, June 24th at 2:30 (joined by members of the pet-book publishing industry) and Saturday at noon, for a lunch time Table Topic about all things “writing”. If you don’t, and I have to sit alone, I might just revert to Middle School behavior – throwing spit balls (or hair balls), making fun of what your cats and dogs are wearing (I would NEVER do that), taking selfies, and passing notes, when the lunch monitors are not looking! Happy travels.